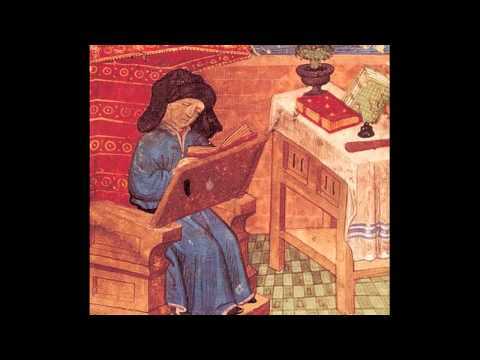 Guillaume de Machaut, a leading French composer and poet of the 14th century, was born in Rheims, were he spent the greater part of his life, after earlier employment in the service of John of Luxemburg, King of Bohemia. 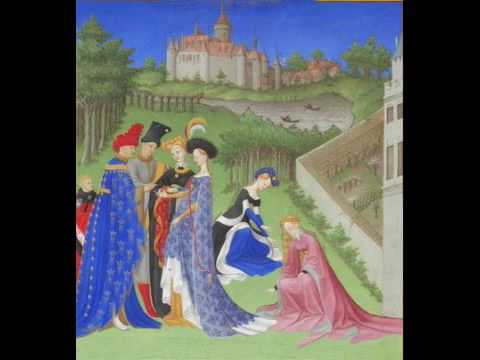 He was employed subsequently by various members of the nobility, including the future Charles V of France. 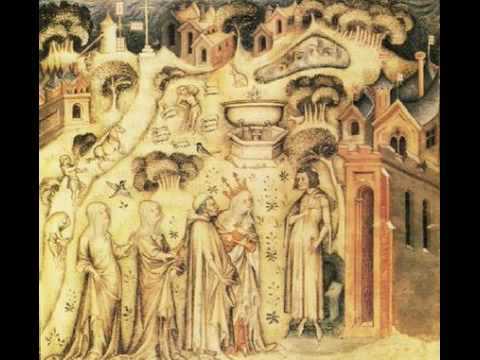 He held various church benefices and as a musician was pre-eminent in the period in the history of music known as the Ars nova, when composers created music of increased rhythmic complexity. 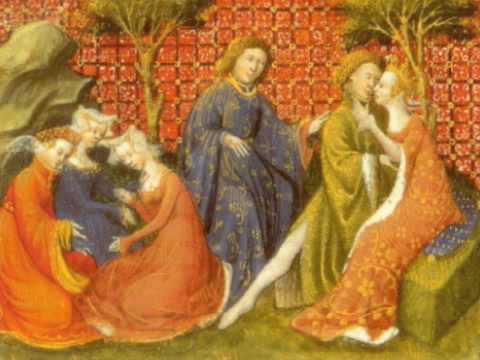 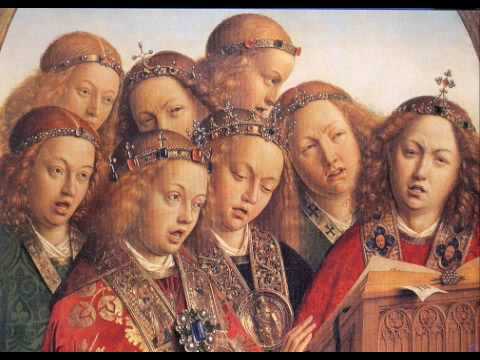 Machaut was a prolific composer of secular vocal music, in the contemporary metrical and musical forms of lais, virelais, ballades and rondeaux.